← IS THIS A GREAT COUNTRY OR WHAT? A recent study by prominent health experts has revealed that it is becoming necessary for workers to take more breaks. The increase of work hours and work loads has become so stressful it is becoming harmful to the mental and physical health of workers. While breaks throughout the day do help, they also need lengthier breaks from the entire atmosphere in order to reinvigorate themselves and return more productive. 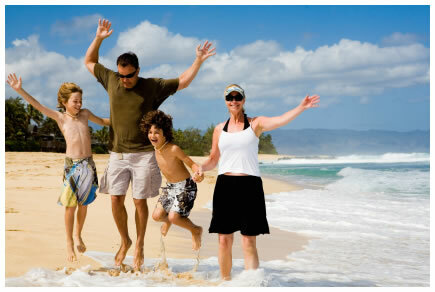 The Post Office Travel Insurance performed a study that revealed the conclusion that workers need six holidays per year. This breaks down to a vacation every 62 days. By taking this breaks from the workplace, they returned fresh and focused, and they avoided potentially burning out. In addition to increasing the positive attributes of the workers, it decreased the negative. Workers who waited longer than two months to take a break are more likely to display aggression in the workplace. They also report becoming anxious far more easily and get sick more frequently. Cary Cooper, a professor of organizational psychology and health at Lancaster University, commented on the study. He believes that it is absolutely necessary for workers in every field to take these intermittent breaks. It prevents overworking which ultimately leads to burning out. While employers may cringe at the idea of letting their workers take these vacations, Cooper believes it is good for the business as well. The workers return with a better attitude and a willingness to do their best. Cooper goes on to say that those who do not take regular vacations are at risk for becoming anxious and aggressive, but also withdrawn in both the work environment and their social life. Relationships will suffer, and communities as a whole will become less productive. Overworking has been known to depress the immune system. Back pain is one of the most common ailments, but it often does not have a direct cause. The stress from not taking a break from work causes people to develop aches and pains. It also disrupts the sufferer’s sleep schedule which results in an inability for the body to energize itself. While many people experience this in the form of feeling drowsy throughout the day, it also prevents the body’s immune system from working at full speed. People who do not take vacations from work every two months put themselves at risk to catch a cold or the flu more than their counterparts who do give themselves a break. Encouraging workers to take a vacation every two months promotes health for the individual and a more effective company for the employer. Reducing the amount you pay on automobile insurance is easy if you go online to compare quotes from multiple insurance providers. Using a service like Kanetix.ca, you can compare the rates from over 40 insurance providers across Canada. All you have to do is simply fill out a quote at Kanetix and you will be able to see which insurance provider offers the most affordable rate for your vehicle.